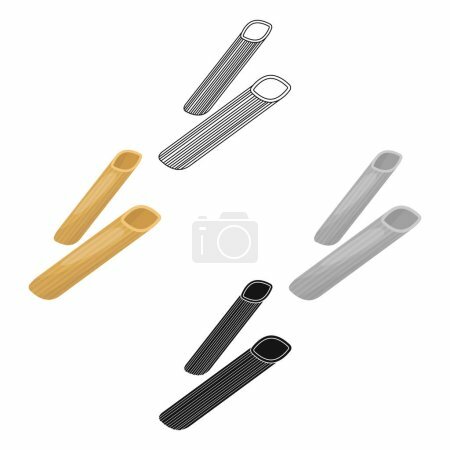 Фотобанк Rusmediabank – лицензионные Фото, Видео, Музыка - Penne rigate pasta icon in cartoon style isolated on white background. Types of pasta symbol stock vector illustration. Penne rigate pasta icon in cartoon style isolated on white background. Types of pasta symbol stock vector illustration. Penne rigate pasta icon in cartoon style isolated on white background. Types of pasta symbol vector illustration.